At the Bug Runner, we offer comprehensive residential pest control services to keep your home pest-free. As a homeowner, it’s important to know who you can count on when you’re dealing with pest issues. At the Bug Runner, we make sure that our residential pest control services are tailored to meet your needs as a homeowner. Pests aren’t just a nuisance, but can pose serious health risks to you, your family, and your pests. Pests like termites and other wood boring insects can also cause a substantial amount of damage. This makes residential pest control services all the more important, and you need someone you can count on to deal with pests quickly and comprehensively. At the Bug Runner we’re experienced with a wide variety of pests, making us the ideal choice. Many homeowners decide to take the DIY route when it comes to their pest issues. This isn’t a wise idea, as store bought methods aren’t always very effective. Many pest problems are far more serious than you may think, and you need a pest exterminator that is skilled when it comes to detection. At the first sign of any pest infestation it’s important to call the Bug Runner right away. We can thoroughly evaluate the problem and come up with an effective plan of action right away. When it comes to residential pest control, we believe preventative measures are important at the Bug Runner. This is why we focus so strongly on services related to integrated pest management. In addition to getting rid of pests, we want to make sure they stay away for good. We can evaluate your property and daily routine and determine what could attract potential pests. This way we can ensure long lasting pest control by helping you make some small changes to your environment and daily routine. This also helps us keep the need for chemical treatments to a minimum. 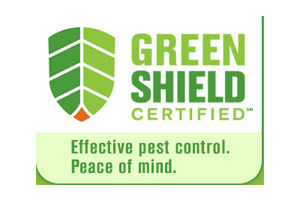 When you need truly effective residential pest control in Bergen County NJ or Rockland County NY.